Let Crestwood custom wood cornices with dentil molding bring colonial elegance to your windows or doorways. Just provide the opening dimensions to accommodate the door or window treatments, blinds, or other hardware to be covered with the valance. All installation hardware and instructions are included. 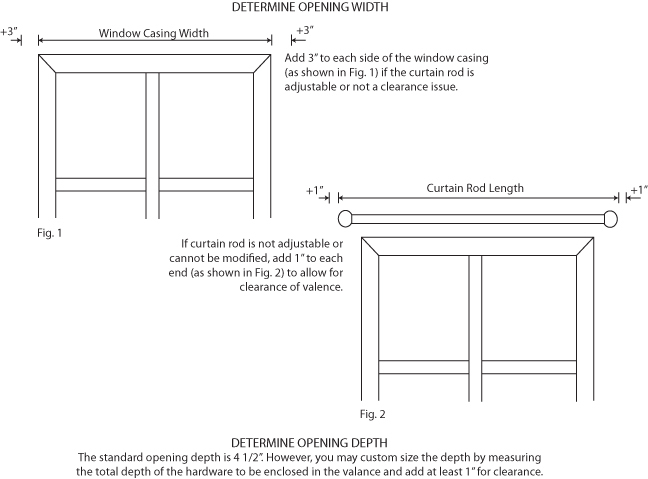 See diagram below for help with opening sizes. Overall Width at Top = Opening Width plus 9 1/2"
Depth at Top = Opening Depth plus 4 3/4"
Click the button below to add the Crestwood Dentil Wood Cornice to your wish list.